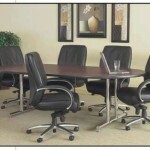 Napoli conference tables add just the right amount of flair and style to any conference room. 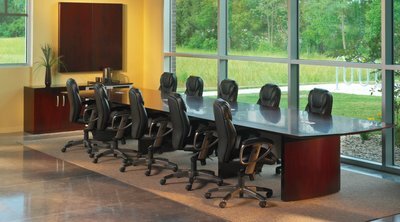 Matching persentation board and buffet cabinet will convert any ordinary conference room into one that will be beautiful and productive. Features: Table tops are 1 1/4″ thick with distinctive beveled edge.Work surfaces are protected with a two-coat high-tech catalyzed lacquer finich.Finichec: Golden Cherry on beech veneer, Sierra Cherry on cherry veneer and Mahogany on walnut veneer. Available Color: Golden Cherry, Sierra Cherry & Mahogany.